Yehliu, a geological park known for its unusual rock formations. We'll spend about 90 minutes on the cape enjoying ocean views, sea breezes and heavenly art . Marvel at the creative genius of Juming, Taiwan's most prolific sculptor. Sculpture is the theme of this tour; of man, of nature, and perhaps (for those inclined to believe) of the gods. Our first stop is Yehliu, a geological park known for its unusual rock formations created by surf, wind, erosion and (according to some) the artistic hand of various immortals. We'll spend about 90 minutes on the cape enjoying ocean views, sea breezes and heavenly art before heading to the Jinshan Old Street for lunch. After eating, we'll spend about two hours at the sprawling Juming Museum, a multi-acre indoor and outdoor exhibition space where you'll walk among hundreds of sculptures of stone, steel, and wood. Finally, we'll take you on a lovely drive along the coast to the port city of Keelung, first to visit a secret spot for a panoramic view that will leave you breathless. As the sun sets, we’ll explore the supernatural with a visit to Keelung’s Ghost Festival museum. We promise a day of art, adventure, and perhaps a touch of the otherworldly! *In the event of inclement weather or other unforeseen circumstances, MyTaiwanTour reserves the right to alter tour itinerary. Tour requires a minimum of 2 guests. We will do our best to accommodate individual travelers by placing them on tours with other guests. In the event an individual traveler cannot be so accommodated, guests will be offered an alternative tour of equal value or full refund. Cancellations are permitted up until 48 hours before departure with a full refund. Cancellations made 48-24 hours before departure will receive a 50% refund. Cancellations made less than 24 hours before departure are non-refundable. My family really enjoyed the tour of Yehliu Geopark and Ju Ming Museum. We also got to try delicious Taiwan street food! JC was fun, informative and really accommodating. The tour was well-paced and interesting. Highly recommend this tour for nature and art lovers visiting Taiwan! My family went to Taiwan to celebrate my mother's 80th birthday. Since my parents are elderly (my father is 85), a day tour involved intricate planning so they wouldn't have to walk too much or get tired. 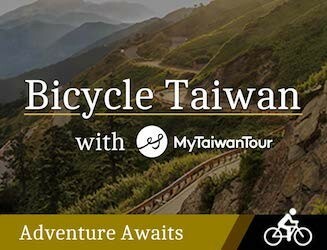 I contacted MyTaiwan Tour days in advance on email to inquire about itineraries and suggestions that might accomodate my elderly parents. All emails were answered within a day, with notes that helped me make decisions. When we were allocated our resourceful guide, Belynda, I emailed her a day earlier to relay to her the specifics of our situation and how we might plan our day trip with the least inconvenience to our parents. She called me the evening before the day trip at my hotel, and we discussed preparations (in case of rain), and finalized the itinerary. The next day, Belynda and a very comfortable mini-bus was waitinig for us at the hotel at the designated time. Belynda was super knowledgeable about the places we were visiting, very mindful of our specific situation (elder parents), and also very gracious and kind. We visited Yehliu Park and Jiufen, with lunch in between, at a restaurant by the seaside. I would recommend MyTaiwanTour for English speakers! We shall come back again! “Steve is the Best!” My fiancee and I booked a tour two days in advance for the Northern Coast of Taipei. Our tour guide, Steve, picked us up from our hotel and gave us one of the best days of our lives! He is super knowledgeable, friendly, and kind. His English is very good and he seems to know EVERYTHING about the area. He even showed us some secret places that we weren't expecting! By the end of the day it felt like we were just hanging out with our best friend :) Next time we go to Taipei, we'll be booking another tour with Steve! We had a great time with Ting from my Taiwan Travel Tours. The tour company requires that you pay in advance, but this should not discourage you from booking with them. They are extremely courteous and professional. We absolutely loved Ting. She is a tour guide by day, and an English teacher at night. Needless to say her English was perfect. Her knowledge about the Keelung and Taipei was expansive, and her attentiveness made our time with her exceptional. She went way above and beyond what we expected of a tour guide. From impromptu stops at her favorite tea store, to guiding us through the Keelung night market she was awesome. She is a great tour guide from a great company. My fiancee and I booked a tour two days in advance for the Northern Coast of Taipei. Our tour guide, Steve, picked us up from our hotel and gave us one of the best days of our lives! He is super knowledgeable, friendly, and kind. His English is very good and he seems to know EVERYTHING about the area. He even showed us some secret places that we weren't expecting! By the end of the day it felt like we were just hanging out with our best friend :) Next time we go to Taipei, we'll be booking another tour with Steve! Hello fellow travelers! If you are in this beautiful country Taiwan, you have to meet equally nice people of Mytaiwantour for an amazing travel experience! Well mannered, friendly, young team with good command over English and knowledge about Taiwan + comfortable transportation = Mytaiwantour! I highly recommend this to everyone! I hope to travel with them again soon! Cheers! Although the weather was rainy, this was still a very enjoyable and interesting tour to go outside the city, and see some of the beautiful countryside outside of Taipei, were residents often go on weekends. Wow, we loved this trip! Our guide, Danny, was very knowledgeable and enjoyable. The ride to the Northeast Coast is breathtaking. This was by far, our most favorite activity in Taipei. I highly recommend this tour to all visitors. 93 people have browsed this in the last week. Copyright © 2019 MyTaiwanTour All Right Reserverd. The password of 6~20 characters in length must contain a mix of letters and numbers. the iconic Taipei 101 observatory. Password reset link time out. Please confirm new password and repeat new password. Check by Booking Reference No.